Today is the first of what I hope will be regular posts entitled ‘Make it Monday’. These posts will appear online each Monday and they will involve a post containing a pattern either of my own design or a link to some other website for containing a fabulous make I’d love to create. I hope that these posts provide inspiration covering a variety of different media be it sewing, crochet knitting, baking….oh the list goes on and on. 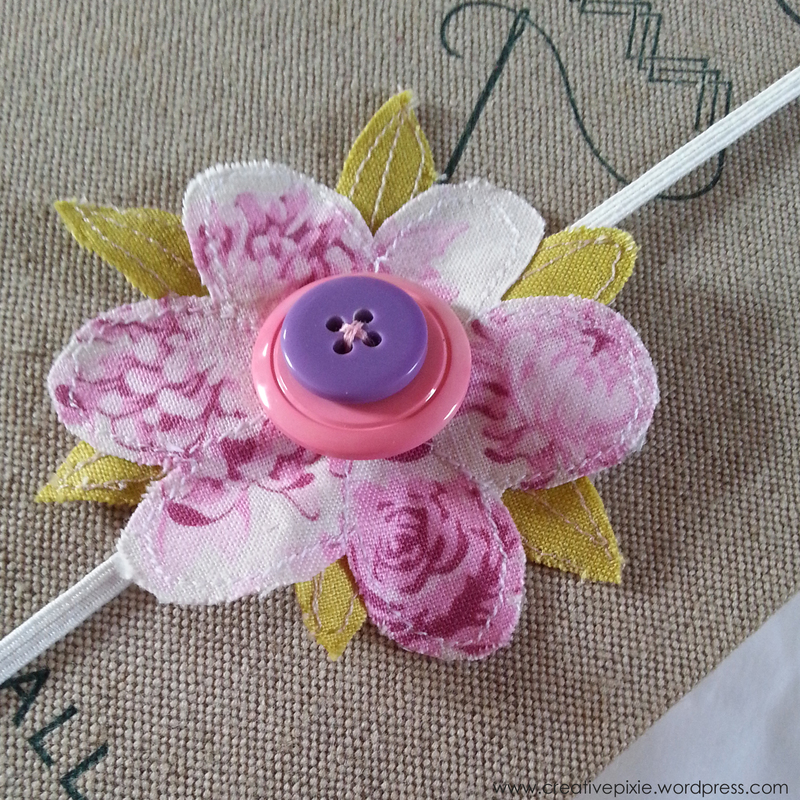 Today’s ‘Make it’ is a fabric flower bookmark. The idea came to me when I was reading a bedtime story, Rapunzel, to my daughter and we’d been using a scrap of paper to keep the place in the book. I thought wouldn’t be great if we had a bookmark that I didn’t have to worry would fall out of the book. 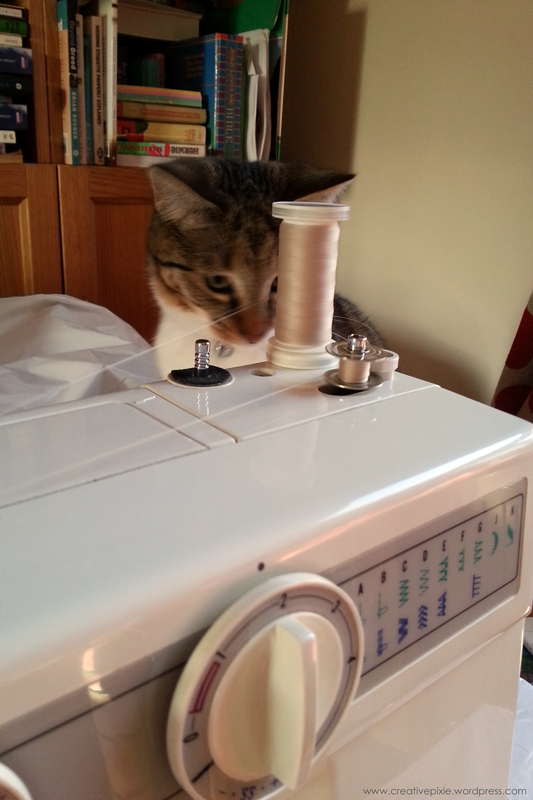 I had fun making the flower, indeed my cat Flynn was fascinated by me winding thread onto the sewing machine bobbin. Yes I must remember to put the cats in another room when I sew in future, they managed to steal the original buttons I had set aside for the bookmark so those with eagle eyes will notice the buttons on the finished bookmark are different from the one I photographed for the materials required bit on the pattern. …and the pattern can be downloaded here. I have a feeling I’ll be making a few more of these, I think they’d be great as presents for book lovers. cute–and I like the book! Thanks. The book was an eBay find, there’s all sorts of thread/wool related info in it. 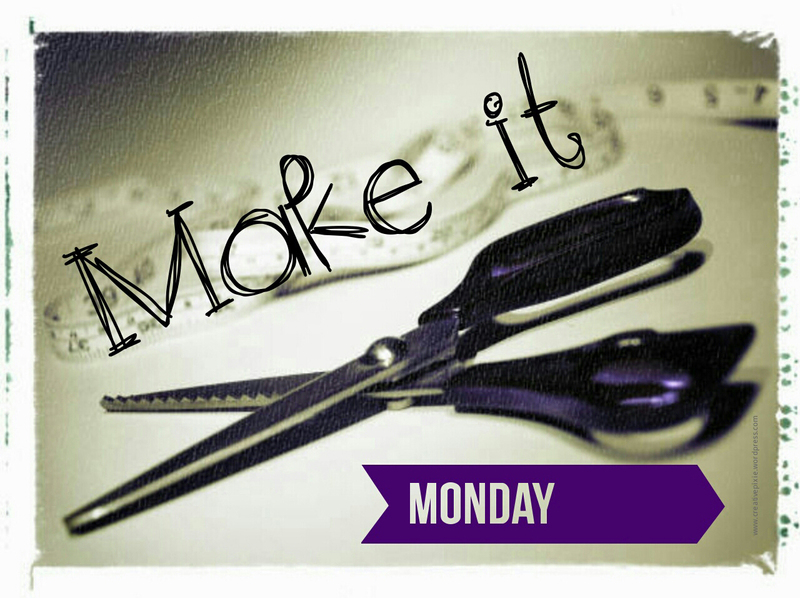 I love the idea of Make it Monday! I’ll be looking out for these posts with expectation 🙂 I love the bookmark idea, and the book looks great too! Thank you 🙂 I better make next weeks Make It Monday post a good one-the pressure is on. Great idea, book marks are always handy and this one is so cute. It’s better than the receipt I was using. This is fantastic! I do a project every February called the 14 days of Valentines where I make my way through February. The projects need to be quick and sweet and this looks absolutely perfect for my friends from my writer’s group. Thank you! Thanks for stopping by my blog. Your February project sounds really sweet, can’t wait to see what you come up with. I love your idea and Make it Monday. I will be back for more. Thank you. A great idea! I’m going to enjoy these posts! Simply fabulous idea, Jean…and very pretty! oh that is lovely! I always loose the bookmarks out of my book and spend ages finding the right page again! 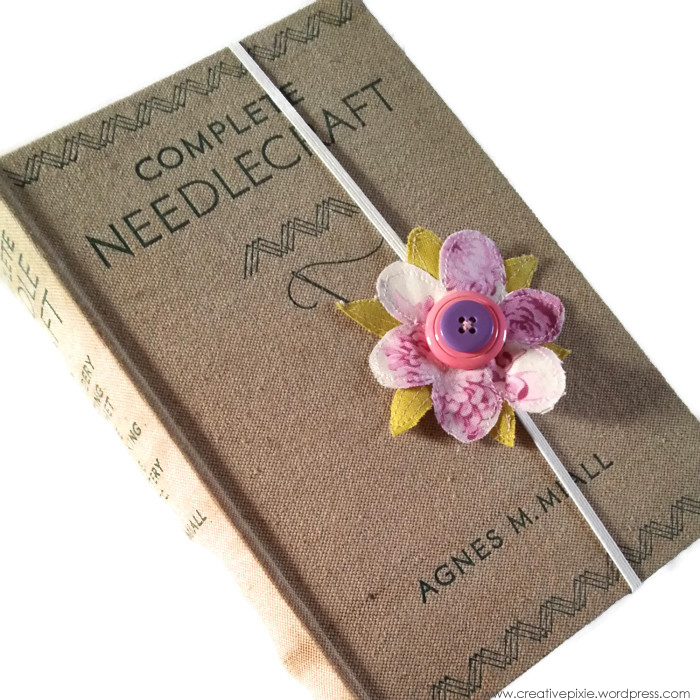 Love your bookmark Jean……very pretty and useful too! Yes I’m a local. I haven’t come across many NI craft bloggers, you’re my 2nd. Pingback: Fourteen Days of Valentines… sort of… | Confessions of a Housewife.